Two separate days of theory and practical scuba diving. You are on your way to becoming a PADI Open Water Diver. Our expert scuba diving instructors will guide you along this amazing journey of knowledge and fun. Upgrade to Full Open Water and enter our free Golden Ticket draw. Win a free set of brand new regulators. 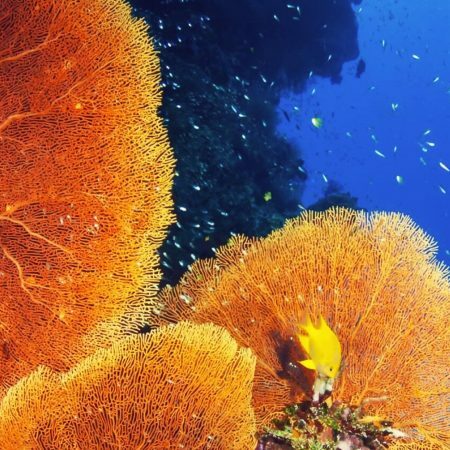 This is where your exciting PADI Open Water Diver journey starts. Two separate days of theory and practical scuba diving. 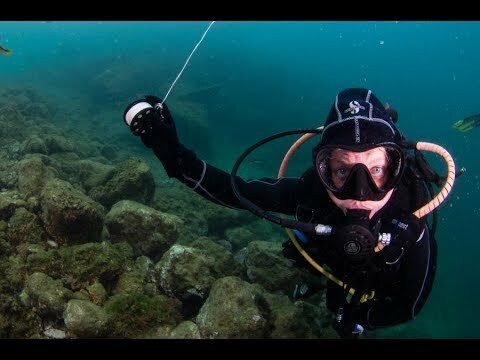 You are on your way to becoming an open water diver. Our expert scuba diving instructors will guide you along this amazing journey of knowledge and fun. Available to divers aged 10 years old plus. Price includes all PADI Materials including a divers log book, PADI manual and a DVD. 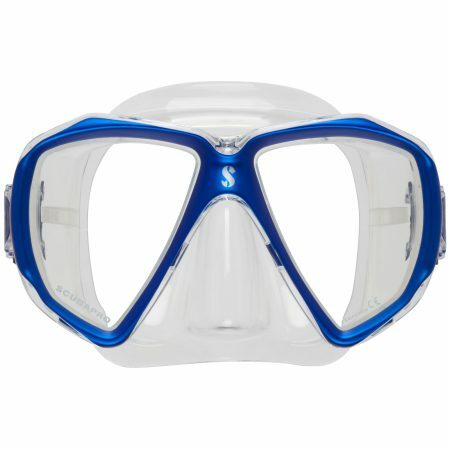 You will receive a discount vouchers and access to dive bundles to save you money, such as mask, snorkel, fins, booties. Price includes use of major scuba equipment: BCD, Regulators, air cylinder and weights. 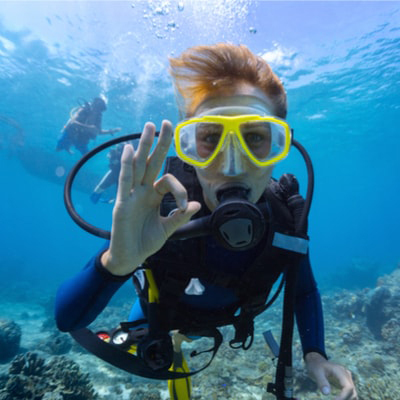 We do require all divers to own their own mask and snorkel as a minimum, for diver comfort. 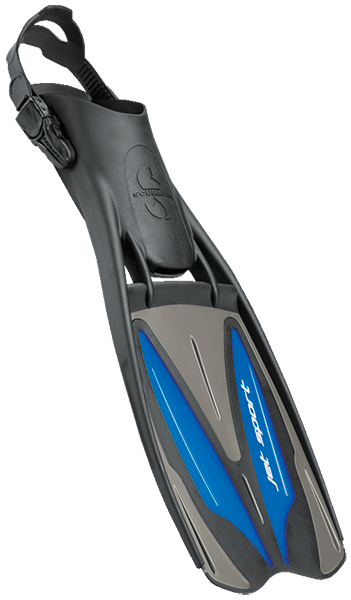 If you have fins and wet suit so much the better for your own comfort. Two times three hour theory sessions, two times three hour pool sessions undertaking your confined water skills under the direct supervision of our highly skilled professional team. Having achieved this milestone, you now have various options to consider: You can jet off somewhere warm and complete your four open water divers to become a fully qualified PADI open Water Scuba Diver. Or, you can also complete four open water dives on a Divecrew Escorted Holiday, or change your mind and learn all of your PADI Open Water Diving right here in the UK. 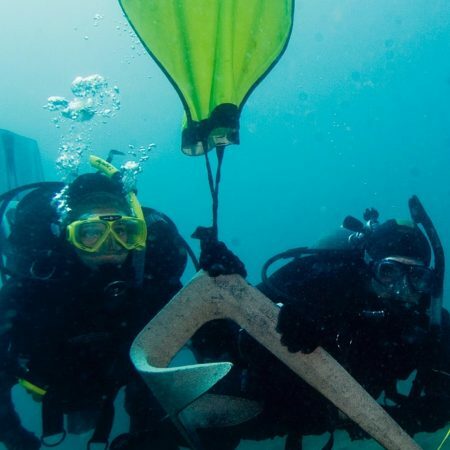 What’s the difference between the PADI Referral Open Water Course and the Full course? If you enroll in the PADI Full Open Water course you would complete parts 1 to 3 with us and become fully qualified. 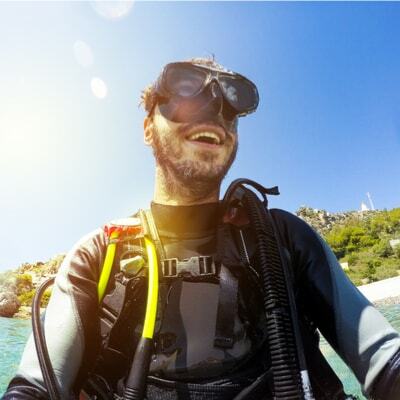 If you opt for the Referral course then you would complete steps 1 and 2 with Divecrew in the UK and then become qualified once you’ve finished your 4 open water dives on holiday. If you would prefer to become a qualified diver here in the UK then visit our PADI Full Open Water page to book your course.